Asa (Hebrew: אסא, ʼĀsā; Greek: Ἀσάφ, Asaph; "Name means::healer") (r. 956-914 BC by Ussher, or 910-872 BC by Thiele) was the third king of the Kingdom of Judah and son and successor of Abijam. The Bible says that he reigned for 41 years (1_Kings 15:9 , 2_Chronicles 14:1 ); this is because Asa used accession reckoning to date the years of his reign. During this time, no less than seven kings—two of whom were civil-war opponents—reigned in the Kingdom of Israel, not even including Jeroboam I, who died in Asa's second year. The Bible does not say how old Asa was when he began to reign. However, his grandfather Rehoboam died at the age of 58, and Asa began to reign a scant two years later, following the death of his father Abijam). Thus Asa must have been quite young when he began to reign—probably as young as 18 and not much older than 22. The Bible describes his father as an "evil-doing" king. However, young Asa would have had one instructive example of how to trust God from his father's reign: the Battle of Zemaraim, in which Abijam routed an army that outnumbered him two-to-one and inflicted 62.5% casualties on it, simply by appealing to God by faith alone. Asa did well as a king only when he consistently followed that example. In the first five years of his reign, his arch-rival Jeroboam I died and, one year later, his son Nadab was assassinated by the usurper Baasha. Then, beginning in the fifth year of Asa's reign, the Kingdom of Judah enjoyed ten years of relative peace. At the end of this time, it had an admirably strong border and an army 580,000 strong—300,000 spear throwers from Judah and 280,000 archers from Benjamin. Asa had at least one wife, named Azubah. In the seventh year of his reign, Asa had a son by her named Jehoshaphat, who eventually would succeed him. King Zerah of Ethiopia sought to invade the Kingdom of Judah in Asa's fifteenth year. He came with an army a million strong (literally, "a thousand thousands") and with 300 chariots. Asa met him in battle with his full strength—and with an urgent prayer to God. God answered Asa's prayers: Asa routed Zerah's forces, put them to pell-mell flight, chased them all the way to Gerar in Philistia, and there slaughtered them because they could run no further from sheer exhaustion. Asa's men also took much booty on their return trip, including much cattle, sheep and camels. Azariah also reminded Asa of how lawless—and vulnerable—the Kingdom of Judah had been in the days of Asa's predecessors, and urged him to renew the commitment he had made to God. Asa took this advice. He renewed his anti-paganism campaign. He even removed his grandmother Maacah from her royal position, because she herself had made an idol, which he destroyed with all the other idols. (This woman named Maachah cannot be his mother, because she is already identified as the wife of Rehoboam and mother of Abijam.) He also received a large number of immigrants from Ephraim and Manasseh, who had moved into his country when they saw how prosperous the Lord had made it. Asa then proclaimed a great feast and offering to the Lord, in which all his people entered into a solemn covenant to worship God properly and keep His commandments. As a likely result of this, the Kingdom of Judah enjoyed another twenty years of peace from that day forward. Asa's single failing lay in not removing all of the high places. The Bible does not tell us why. Asa's decline began in the sixteenth year of his reign (and the thirty-sixth year since the division of the Kingdoms) when Baasha, who had been king of the Kingdom of Israel for fourteen years, took steps to stem the tide of emigration from his kingdom. To this end, Baasha began building a strong border city of Ramah, to close the border between the two kingdoms. Asa, instead of calling upon God as he had done before going into battle with King Zerah, sent a large bribe to King Benhadad I of Syria. He reminded Benhadad that Syria and the Kingdom of Judah had a treaty, negotiated by Abijam and Benhadad's own father, and urged Benhadad to conduct some border raids against the Kingdom of Israel. This Benhadad did, and this act forced Baasha to leave off building his fortified city to defend his own border. Asa then drafted a large labor force to dismantle Ramah, stone by stone and timber by timber, and use the materials to build the cities of Giba and Mizpah. After this, the prophet Hanani rebuked the king, saying that by his negligence King Benhadad had escaped the disaster that God would otherwise have visited upon him. (Worth mentioning also is that Asa was not perfectly diligent in removing high places; most of them remained at the end of his reign.) As a punishment, the Kingdom of Judah would be at war with the Northern, off and on, for the rest of Asa's reign. Asa, furious, had Hanani imprisoned, and furthermore oppressed an undetermined number of people. This did not, however, stop the wars. These ended only when Baasha died and, two years later, the Kingdom of Israel was plunged into civil war. In the thirty-ninth year of his reign, Asa was stricken with a disease of his feet—and again, instead of praying to God about it, he sought help from physicians who, in the end, could not cure him or treat him with any effectiveness whatsoever. Two years after that, he died, and his son Jehoshaphat succeeded him. The Biblical accounts of the Asa-Baasha wars (1_Kings 15 , 2_Chronicles 14-16 ) appear to contradict one another. 1 Kings clearly states that Baasha reigned between the third and twenty-sixth years of Asa. How then could Baasha had started a border skirmish with Asa in the thirty-sixth year of Asa's reign, as 2 Chronicles implies? James Ussher and his translator, Larry Pierce, suggest that the thirty-sixth year referred to in 2 Chronicles is the thirty-sixth year in the history of the Kingdom of Judah and not the thirty-sixth year of Asa's reign. The Hebrew text, says Pierce, is ambiguous on this point. The assumption that Ussher and Pierce make resolves the apparent paradox. It also explains why the Chronicler says that the land of Judah had rest for ten years, although it also says that the land had no warfare until "the thirty-fifth year"—again, probably the thirty-fifth year of the Kingdom of Judah, not of King Asa. That the Chronicler records Asa's failure to remove the high places in the fifteenth year of his reign, may or may not be significant in the context of the border skirmish occurring one year later. Edwin R. Thiele would have had to make a similar assumption to make this border skirmish fit with his own chronology. ↑ 1.00 1.01 1.02 1.03 1.04 1.05 1.06 1.07 1.08 1.09 1.10 1.11 Blank, Wayne. "Entry for Asa." The Church of God Daily Bible Study, 1998. Retrieved June 21, 2007. ↑ 3.0 3.1 Jones, Floyd N., The Chronology of the New Testament, Green Forest, AR: Master Books, 2003, Chart 5. ↑ 5.0 5.1 5.2 5.3 5.4 5.5 5.6 5.7 5.8 Kachelman, John L., Jr."King Asa: The Failure of Compromise!" The Christian Library, 1999. Retrieved June 21, 2007. ↑ 6.00 6.01 6.02 6.03 6.04 6.05 6.06 6.07 6.08 6.09 6.10 6.11 Authors unknown. "King Asa - Biography." 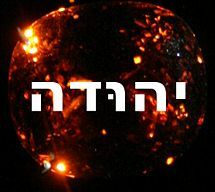 The Kings of Israel, hosted at http://www.geocities.com/ Retrieved June 21, 2007. ↑ 7.0 7.1 7.2 7.3 Hughes, Al V. "The Rise and Fall of King Asa." Port Orchard, WA: Bible Baptist Church, 2003. Retrieved June 21, 2007. ↑ 8.0 8.1 8.2 8.3 8.4 8.5 Van Belkum, André. "The Life of King Asa: Vital Lessons For You and Me." United News (United Church of God), November, 1998. Retrieved June 21, 2007. ↑ 9.0 9.1 9.2 9.3 9.4 Cameron, Bruce N., JD. "The Rise of the House of Asa." GoBible.org, 2007. Retrieved June 21, 2007. ↑ Pierce, Larry. "Ussher's Time Line for the Divided Kingdom." Trinity Review, 170, April 1999, p. 7. Retrieved June 21, 2007, from Answers in Genesis. Requires PDF reader or plug-in.